Trailer Window Screen is rated 4.70 out of 5 by 9.
my trailer windows were just a little wider than the screens, and it turns out my horse didn't like them because she couldn't stick her head out the window when you loaded before I closed the outside window to travel. But, they are a good idea, they came with everything you needed to install, very nice quality, just an odd size at least for my trailer. I bought horse trailer window netting and as I was checking out I was notified if I spent a few more dollars I would get free shipping. I bought my favorite fly spray at the sales price I would have gotten at my local retailer (whenever I can catch it on sale) and had it shipped direct to me FREE! Great deal! Excellent product, great price. Looks good, easy to mount. Little to no gaps. Love it. The trailer window screens I purchased are SO nice!! Husband got them up in just a matter of minutes. Feel better about my horses with windows open. 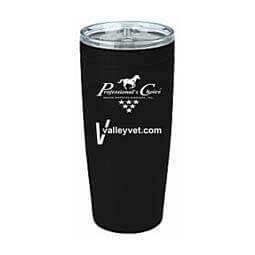 Thanks Valley Vet!! !